If you are looking for the ideal body weight formula, relax and watch an old movie. We are so used to looking at people around us that are overweight that we begin to think that we should be heavier (more like the average), but the average is too heavy. To Remind us What Ideal body weight is: Watch an old movie! Jack was skeptical. At 273 lbs, 5 ft 11 inches, he felt that he was "just right". "I feel fine. I don't see why you think I should lose weight," he declared. "In fact, when I lost 25 lbs a couple of years ago, everyone said I was too skinny!" I showed Jack why: He had an HDL of 35 mg/dl, small LDL (over 90% of all LDL particles), an elevated blood sugar of 123 mg/dl (diabetes is officially 126 mg/dl or greater), high blood pressure, and increased inflammation (C-reactive protein). These were all manifestations that his body weight was too much for it to handle. So I told Jack that we've all forgotten what ideal weight should look like. Our perception of "normal" has been so utterly and dramatically distorted by the appearance of our friends, family, co-workers, and other people around us that we've all lost a sense of what a desirable weight for health should be. So I suggested to Jack that, if he wanted to rememember what ideal weight is and what people are supposed to look like, just watch old movies. 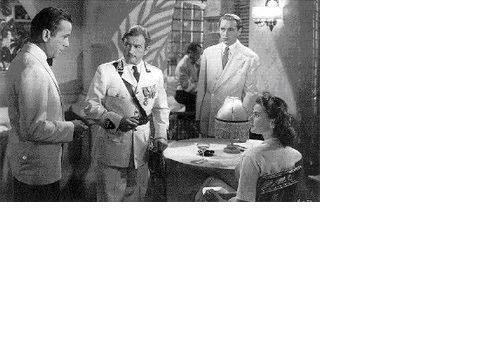 Old movies, like the 1942 production of Casablanca, or the 1952 production of Singin' in the Rain, show the body build that was prevalent in those days. 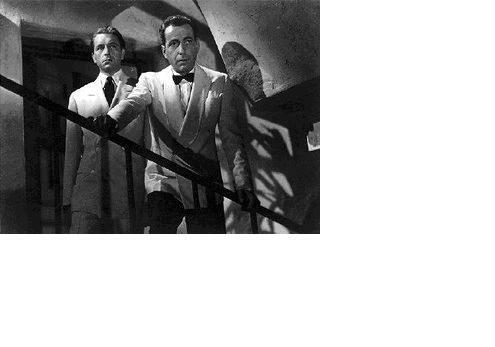 Look at Humphrey Bogart or Gene Kelly--men with average builds, weighing 140-160 lbs--that's how humans were meant to look. A report this morning on the Today Show showed the "after" photos of several people following bariatric (weight reduction) surgery. The "after" pictures, from the perspective of ideal weight and ideal health, remain hugely overweight. We need to readjust our perceptions of weight. The average woman in the U.S. now weighs 172 lbs(!!!). Don't confuse average with desirable.